It’s the ultimate night of Gershwin, with a mix of classic hits and orchestral works spotlighting the singular genius of this great American composer, as Nashville’s own Melinda Doolittle performs these legendary songs in concert, the Marcus Roberts Trio and the Grammy Award-winning Nashville Symphony Orchestra, will all be in concert for “Gershwin’s Greatest Hits,” April 19 – 21 at the Schermerhorn Symphony Center. 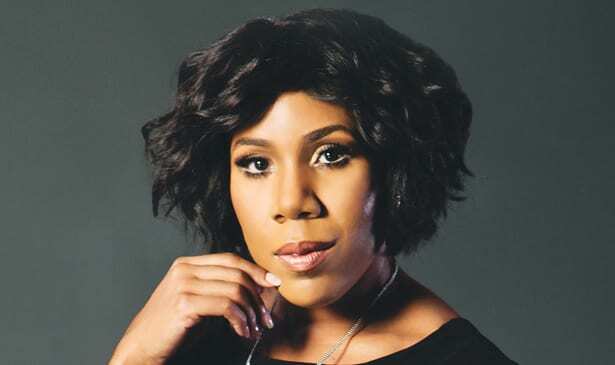 Melinda Doolittle has this amazing voice that landed her on the stages of American Idol. She finished as the third-place finalist on the sixth season of the show. The often curmudgeon Idol former judge, Simon Cowell once called her his “personal favorite.” Prior to her appearance on American Idol, Melinda had a very established career as a Doolittle as a professional background singer for, among others, Michael McDonald, Kirk Franklin, Aaron Neville, BeBe and CeCe Winans, Alabama, Jonny Lang, Vanessa Bell Armstrong, Carman, and Anointed. Is there life after American Idol? The answer is a resounding Yes! if you’re Melinda Doolittle. She continues to thrill audiences everywhere from the Rock and Rock Hall of Fame to The White House, from the Copa Room to Carnegie Hall. In addition, she has been a featured guest with the Boston Pops, Charlotte Symphony and the United States Air Force Orchestra to name a few, including a featured performer at the 2015 Boston Pops Fourth of July Spectacular, and a previous special performance with the Cincinnati Pops with legends Smokey Robinson, Aretha Franklin and actress Kristin Chenoweth. She’s even done her best-selling autobiography, Beyond Me: Finding Your Way to Life’s Next Level is a book written by Doolittle about her life before during and after her American Idol experience. Melinda’s busily in rehearsals this week in preparation for her upcoming three shows this weekend. But before she hits the Schermerhorn stage, she stopped in for a chat to answer 5 Questions about her shows and life after American Idol. TRIBUNE: How fulfilling will these concerts be for you personally? M. DOOLITTLE: I’m so excited about this show. I travel so much but performing in front of the hometown audience is always a delight for me. Doing shows for the Nashville Symphony is a top of the list event for me. I love singing with symphonies but it’s something that’s just so special about the Nashville Symphony. And then to have the opportunity to sing the music of George and Ira Gershwin makes it even more unique–I mean who doesn’t love Gershwin music? It’s my favorite music to sing. I am just in heaven over this opportunity. I’m learning the orchestration of the songs and it’s so fabulous. I cannot wait to get on the stage to sing these songs that I’ve loved for so many years. TRIBUNE: I personally love “They Can’t Take That Away From Me.” Do you have a personal favorite Gershwin song? M. DOOLITTLE: I think it’s ‘Someone to Watch Over Me.’ When I found out this would be one of the songs in this upcoming concert, I just started jumping up and down with excitement! It’s such a gorgeous song. Ella Fitzgerald is my personal favorite person to ever sing that song. TRIBUNE: How do you prepare to perform shows like this, when the music has such a long and rich legacy? Do you also study the backgrounds of the composers and producers? M.DOOLITTLE: I do sometimes. What’s important to me is the history of the exact song that I’m singing. I love to know why the songwriter wrote a particular song? Was it something special going on during that time in their lives? If there’s any history connected to a song, I love knowing about the story. That helps inform me on how I interpret the song, and what the lyrics mean to me as a singer. But with writers like the Gershwin, they write the melodies so beautifully. All the performer has to do is just sing the song because it touches the audience in such a special way. And this will be my first time performing a Gershwin show, so to have this amazing orchestra behind me is just a dream. It’s such an honor. TRIBUNE: Have you already selected a special gorgeous gown to wear for these performances? M. DOOLITTLE: Yes! I just made a special rush-order’ purchase last week. I knew that I wanted to wear something very special, obviously. I ordered two dresses. It’s three nights of shows, so if I want to change it up and wear a different gown, I’ve got one. TRIBUNE: The world was introduced to your beautiful singing talents when you competed on American Idol Season 6. Do you still have contact with some of the finalists from that season who competed with you? M. DOOLITTLE: Yes, all the time! They’re like family for me. Jordin (Sparks) is having a baby and I was part of planning her baby shower. She still calls me ‘Momma’ and I still call her ‘Baby Girl.’ (she laughs). We’ve remained close for the last eleven years. I enjoy talking with Jordin about some of the stuff that I get to do in my career and she’s like, ‘Hey, I want to do that too’’ And she does the same with me. Gina (Glocksen), who was also from my season, just had her second baby. Whenever I’m in Chicago, I visit her and spend time with her family. I also still stay in touch with Chris Richardson, Lakeisha Jones, and Blake Lewis. These are my people. I love them and we all have just continued to stay in touch over the years since we were all competing together on the show. FOOTNOTE: Melinda is also a big fan of the latest new version of American Idol.